While all Apex Window Films are removable, the films in this category can be removed more easily, typically in one piece and can often be re-used. 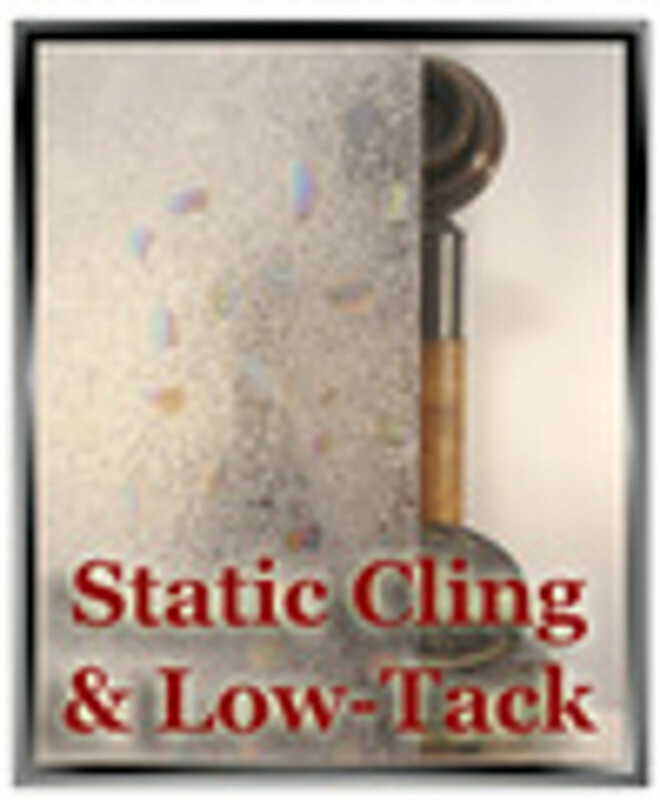 There are two sub-categories: Static Cling and Low-Tack. Static Cling films have no adhesive and while typically installed with a slip-spray or water are easily removed and can be stored on their original backing and re-applied to another window or at a later date. Low-Tack films have a different adhesive than our other wet-mount adhesive films, allowing them to be removed and reused from flat surfaces (if they have been applied to a contoured surface they may not be reusable but will still be simple to remove in the future). The low-tack films are great for any smooth surface - not just for glass.